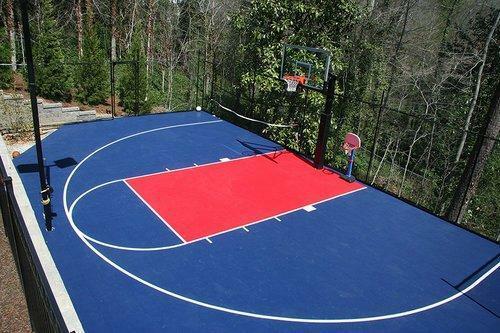 We are dealing with Outdoor Basketball Court Flooring and our product is made up of good quality. Techno Sports Infra Private Limited was established in 2015 and it is a highly prominent company betrothed in the manufacturing and wholesaling of Badminton Court, Tennis Court, and Basketball Court. We are bestowed by a crew of endowed and well-informed workers and professionals, which is the potency of our enterprise. Our group comprises of highly expert and diligent workers, who perform their allocated tasks with full goodness. These professionals quickly understand our work and business services with little information. With the high level of competence of our crew, we have been able to endlessly provide these products and services according to the universal quality norm.